Is JYJ member Kim Jae Joong the secret weapon of “Dr. JIN“? The production team of MBC weekend drama “Dr. 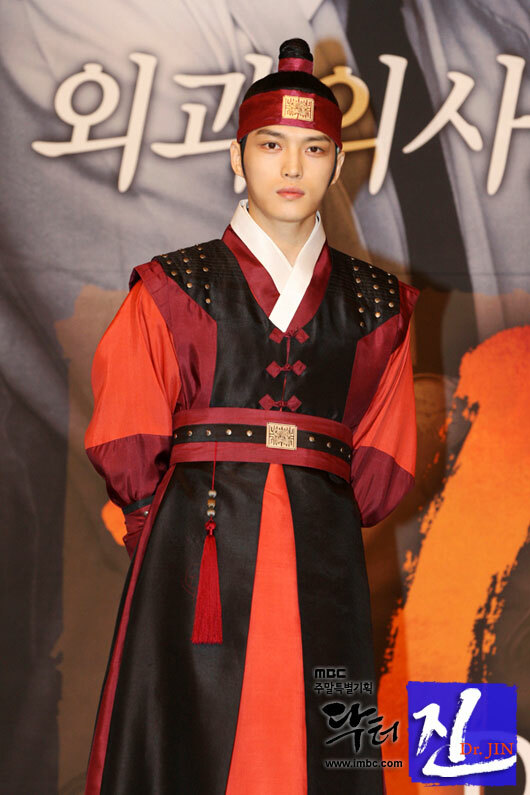 JIN” once again emphasized that the role of Kim Kyung Tak played by Kim Jae Joong is a character with dramatic element. Hallyu star Song Seung Heon plays the role of surgeon Dr. Jin Hyuk that time travels and leads the plot, skillful actor Lee Bum Soo plays the role of Lee Ha Eung who is in the middle of the whirlpool at the time slip generation that Jin Hyuk time travels to, and they received attention from the start. But, the role of Kim Kyung Tak played by Kim Jae Joong is a character that does not exist in the original manga and Japanese drama, so it’s a new character added in the Korean drama. In the beginning, some has questioned the need for the character to exist. In the end, Kim Kyung Tak debuts as the character that differentiates between manga and drama. He not only has a three-corner love relationship with Jin Hyuk and Young Rae (Park Min Young), and although he is an imperial guard, but because he is a concubine’s offspring, and hence he is a three-dimensional character due to the difference in identity and endless conflict between power of the Kim-si of Andong and the kindred of Lee Ha Eung. In episode 1 and 2 of “Dr. Jin”, Kim Jae Joong perfectly interprets the role of Kim Kyung Tak with unexpected acting skill, successfully dispelled the worries on him. At the same time, the OST “Like A Dream” sang by him himself top the music charts on release, receiving great attention. Then, the search keywords of “Dr. Jin OST” appears prominently and continuously, helping to propel the popularity of the drama.